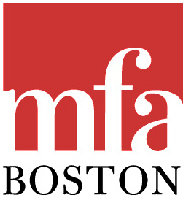 Bay Club at Mattapoisett members will receive a private tour of the new wing of the Museum of Fine Arts Boston. With 53 new galleries on four floors, the new wing opened in November 2010 to display the Art of the Americas collection. More than 5,000 works of art produced in North, Central and South America over three millennia are shown, many of which have not been displayed for decades. Architects Foster and Partners of London designed the new wing which features nine Period Rooms and four Behind the Scenes Galleries which add to the experience of viewing these works of art. After the highlights tour, members will enjoy lunch in one of four cafÃ©/restaurants and spend the afternoon visiting other galleries in the museum taking advantage of the self-guided multimedia guides that are available at the museum. The Bay Club at Mattapoisett is a country club with an eighteen hole championship level golf course and residential property located in Southeastern MA.Â Â To arrange a private tour please contact Dave Andrews viaÂ e-mail or phone, 508-758-9543.